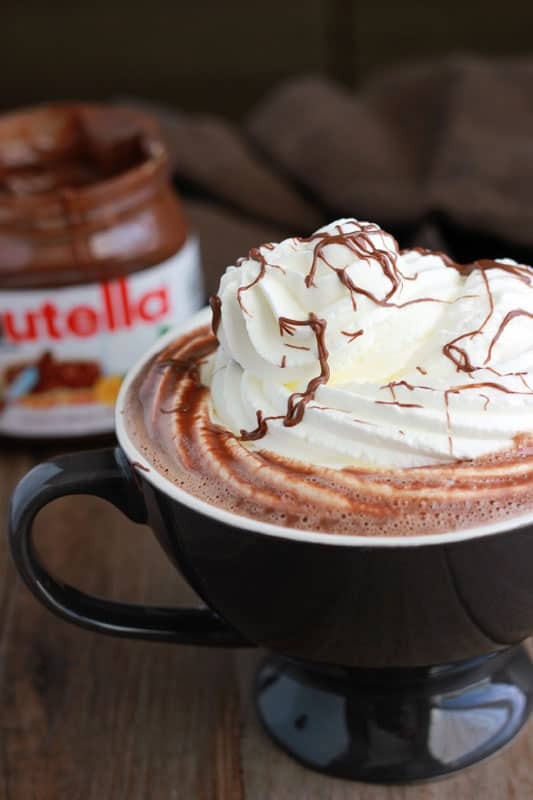 Home » Beverages » Nutella Hot Chocolate Recipe – Only 3 Ingredients! 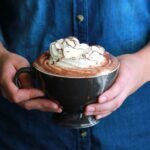 This rich and creamy Nutella Hot Chocolate is ready in under 5 minutes and made with just 3 ingredients! 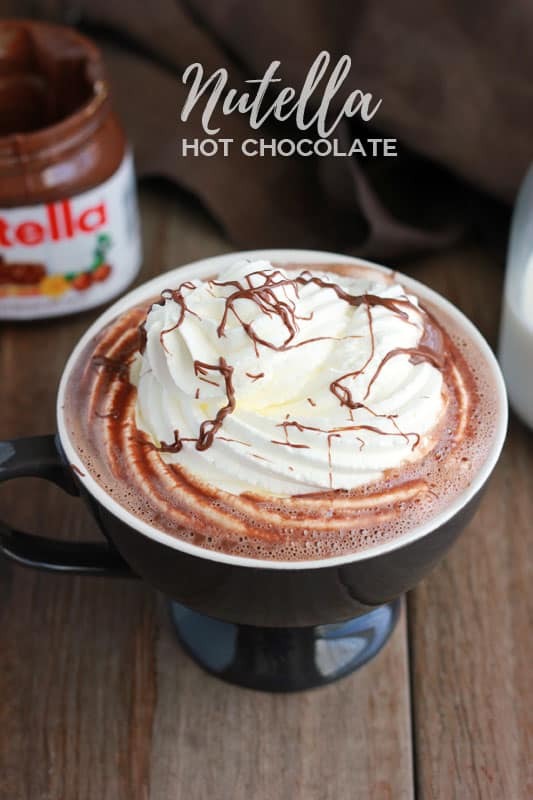 You will love this decadent drink recipe. 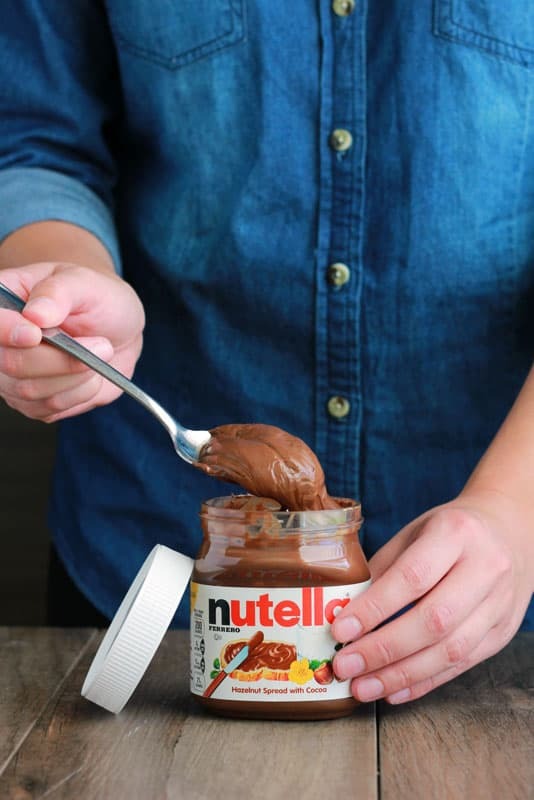 Truth– I have never been a Nutella fan. Ever. I avoid hazelnuts like the plague and do not particularly care for chocolate either (unless it is served in the form of brownies). Which is why I was pleasantly surprised that I love this recipe as much as I do. 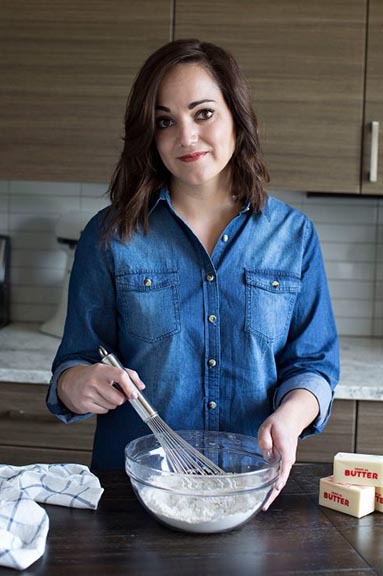 Get ready to go crazy when I tell you that there are only THREE ingredients, all of which you most likely already have on hand! Since this is a 3 ingredient recipe, it is super important to use quality ingredients. Go name brand (or a brand you find extra tasty). You will also want to use whole milk to get that extra creamy drink we all know and love. Combine the milk and Nutella in a small saucepan. Heat to a simmer, whisking constantly, until frothy and warm. And voila! 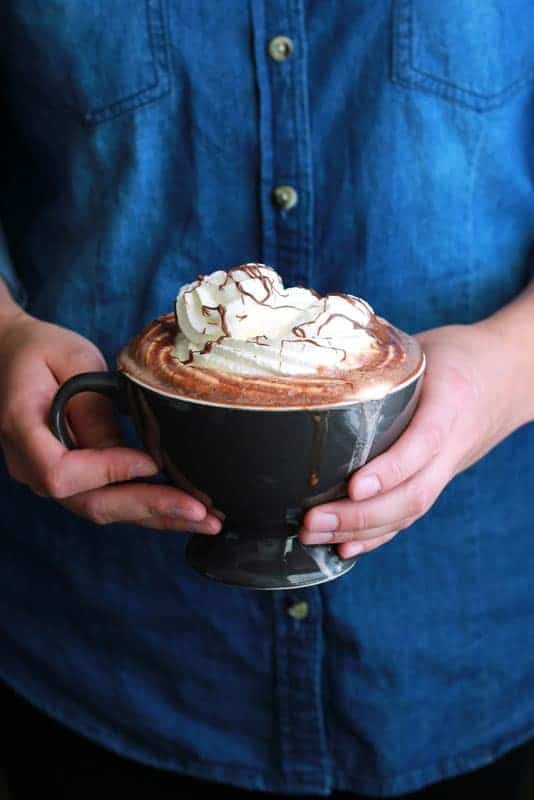 Rich and creamy cocoa ready to be sipped and slurped. If you want to get really crazy you can top things off with a little whipped cream and drizzle with warm Nutella. While this recipe is made for two, I easily could drink both portions all on my own. I’m thinking it might even replace the spicy cocoa I usually enjoy! 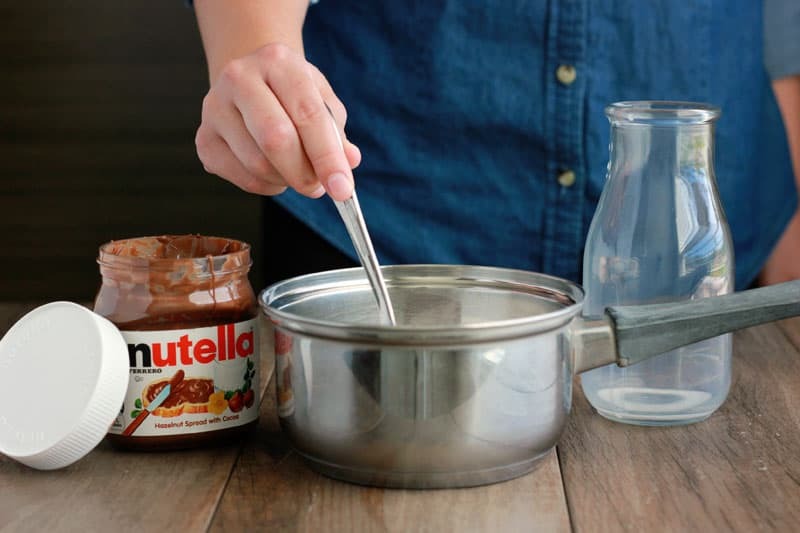 Whisk together the Nutella and milk in a small saucepan. Heat until warm and frothy making sure to watch closely to avoid burning. Top with a dash of cinnamon or whipped cream. Nice recipe, and that’s coming from someone that shares your at least lukewarm endorsement of hazelnuts and even chocolate, so given that, will have to try it next time I’m passing the isle with the Nutella in the grocery store, than you for this recipe! Saw this on your instagram story today and decided to make it for my three little ones. It was amazing! Thank you for sharing such an easy and decadent recipe.